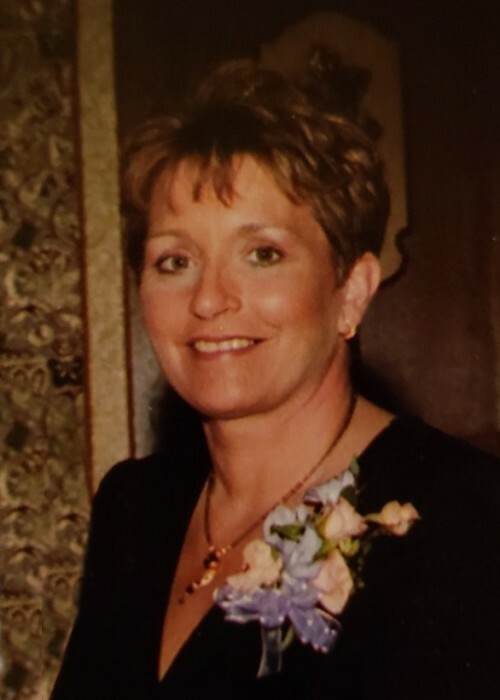 Gwen L. Thorgren, 59, of La Porte, passed away peacefully at her home on Thursday, August 16, 2018. Gwen was born in Portsmouth, OH, on March 31, 1959 to Walter L. and Helen J. (Payne) Downey. On May 27, 1978 in La Porte, IN, she married Eric who preceded her in death. Surviving are her beloved children, Brooks (Kelly) Thorgren of La Porte, Lindsay (Ryan) McGary of Chesterton and Kristin (Mark) Thorgren-Owens of St. Louis, MO; 4 grandchildren, Cole, Cade, Anakin and Rex; mother, Helen Downey; siblings, Kimberly (Joe) Napier of La Porte and Doug (Jennifer) Downey of South Bend; sister-in-law, Kendra (Al) Casselman of Florida; as well as numerous nieces and nephews. She was preceded in death by her father, Walter Downey; husband, Eric Thorgren and son, Spencer Thorgren. Gwen was a retired nurse of 30 years. She enjoyed quilting, raising miniature Australian shepherds and living a Jimmy Buffet Parrot Head lifestyle. A Celebration of Life Memorial Service will be held at 6 pm (CT) on Friday, August 24, 2018 at Cutler Funeral Home and Cremation Center. A time of visitation will be held from 4 pm (CT) until the time of the service on Friday at the funeral home. Burial will take place privately at Graceland Cemetery in Valparaiso.